Live bands will be playing all day! There will be special video showings and also on-going raffle drawings. Beverage/bar sales will also be open all day. There will be Veterans Information tables on sight as well. This year's recipient and family will be present throughout the day. There will be several special presentations on stage for this year's recipient, as well as appearances from past recipients. This is a very special event with an opportunity for attendees to meet and shake hands with our veterans. Food and Bar concessions will open! Open to all ages. $20 Suggested Donation at the door. 100% of the funds raised goes to our hero. 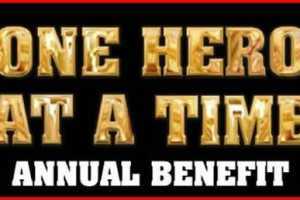 *Benefit "Out and Back" Ride: Kick stands up 9:00am. Motorcycles, Trikes, Cars and Trucks welcome, line up at the Virgin River Casino parking lot. Ride will be to Gunlock Reservoir and back.